Houzz offers an easy way to plan your Raleigh new custom home - with seemingly limitless photos to add to your personal "Ideabooks." Want to know what Houzz users see as the "Perfect House?" We've compiled a list of the most popular Stanton Homes photos (based on the number of "Saves" to Ideabooks) - below. Homes that combine traditional and craftsman elements continue to rise in popularity. 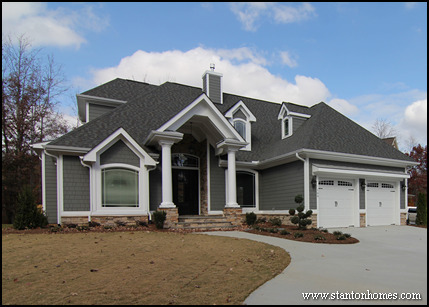 This Raleigh custom home blends traditional white columns with craftsman style trim and contemporary grey metal roof accents above the garage and sides. Each eave and peak is carefully balanced in this design so that no matter what angle the home is viewed from, the eye tracks the angles and curves. The portico entrance opens to a vault, with a dark stained wood door and lots of glass for natural light. 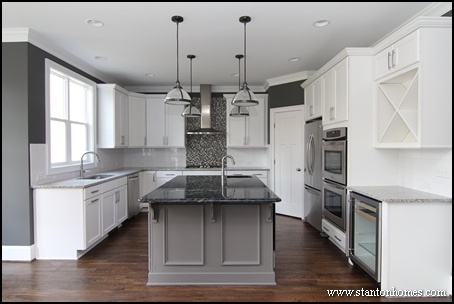 White, grey, and black kitchens continue to top home trend charts. Not all new home kitchens are scaling up in size. Many kitchen floor plans, like this popular Houzz kitchen photo, center on efficient layouts that offer ample storage and counter space without breaking the bank. 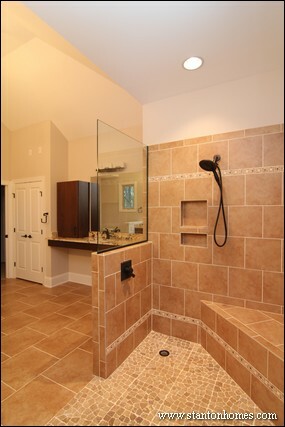 Master bathrooms with only a shower - and no tub - are also a common request for Raleigh new homes. This two person shower features separate his and hers shower heads, open concept glass panels, and a roll-in (wheelchair accessible) threshold. 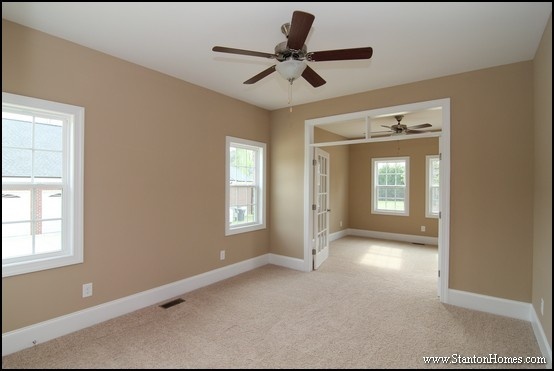 While the jury is still out on two versus one story great rooms, this great room photo boasts the most Ideabook "Saves." This two story great room includes two window rows, dark hardwood flooring, light grey paint, a tall built-in bookcase, full-height white wainscoting above the fireplace, walls sconces, and a wrap-around walkway to the sun room. To top it off, the fireplace is see-through. Mother in law homes, that is, homes designed with a private living area for long term guests or extended family, are difficult to find in existing home markets - making them a top request in custom new home construction. This MIL suite takes the cake for one of our most-saved photos on Houzz. This floor plan - a version of the Maple Lane - includes a mother in law bedroom with private bathroom and sitting room with French door entry (and faux transom windows above). The sitting room has private access to outdoor living. Metallic accents have grown in popularity, often used to off-set white, black, grey, and even golden brown rooms. 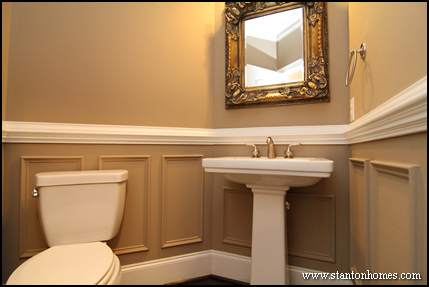 This powder room design - a simple yet elegant design with painted wainscoting, framed mirror, and pedestal sink - is hugely popular on Houzz - even compared to Stanton Homes powder rooms with more complex (and expensive) layouts and design selections. With the recent trend towards incorporating indoor-outdoor space comes a need for convenient mud room amenities. 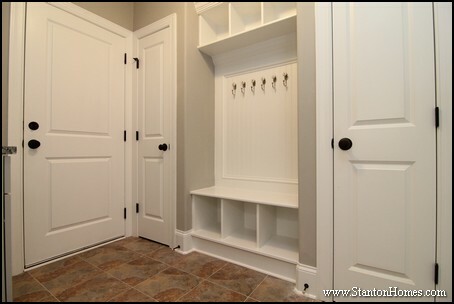 This mud room - our most popular on Houzz - features two closets, a built in bench with storage cubbies, and upper cabinets, sink, and countertop (on the other wall). The coat hooks spell "FAMILY." Want to know where homebuyers would love to splurge in their next home? 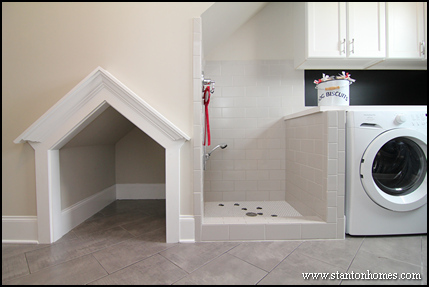 This pet room features a large dog shower and tucked-in dog house. These pet room accommodations are located under the staircase - designed to take advantage of otherwise unused square footage inside the combination mud room / laundry room. No two Stanton Homes are alike because we create every home with exquisite details and layouts that fit the personality of its people – beginning with the flexibility to choose a design from nearly any architect or have us create something new, just for you. Our design team will collaborate with you to create the perfect home for your lifestyle. Share your ideas with us - email us your favorite Houzz photos (and tell us what you love about the most popular photos in this post). 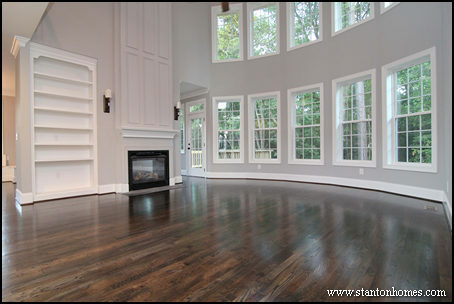 Reach us at 919-278-8070 or www.StantonHomes.com.